Oconee County has only an informal set of procedures for deciding what goes on the county web site, with four people involved in the decision, according to County Administrative Officer Alan Theriault. Oconee County Board of Commissioners Chairman Melvin Davis, Theriault, Finance Director Jeff Benko and Clerk of Commission Gina Lindsey all can put something on the web, Theriault said. Angela Helwig, administrative assistant to the BOC, is the “point person” who actually uploads the materials, Theriault added in that June 7 telephone conversation. Over the last year, the Board of Commissioners has asserted its right to control the flow of information from county department heads to its members, but it has passed up chances to control the county web site. Chairman Davis, in contrast, uses the web site to disseminate his view of county affairs via a column he posts there weekly, and he publicly has made other decisions unchallenged about what does and what does not go on the web site. Davis’ column first appears in the weekly newspaper The Oconee Enterprise. He starts with a question and then provides his answer. The Aug. 26 column, which leads the list today, deals with maintenance of vacant subdivisions. Davis asks: “What is the county doing to make sure the entrances, etc., are maintained?” He answers that the county is trying to guarantee that the required maintenance is done. Of course, the columns always represent Davis’ take on issues. On April 29, while the BOC was considering cutbacks to balance the budget without increasing the tax (millage) rate, he hinted that an increase in the millage rate might be worth considering. Today, the county web site has the weekly columns by Davis back through January of 2009. I told the BOC at its May 4 meeting that I felt the county needed a citizen committee to make suggestions on policy for the county’s site and that I would form such a committee. I invited all members of the commission and members of the county administration to join. To date, Commissioner Margaret Hale has said she will be a member of the committee. At the suggestion of Jay Hanley, chairman of the Oconee County Republican Party, I asked Kate McDaniel to join, and she has agreed. McDaniel is a frequent attender of BOC and other county meetings, is active in Republican Party affairs and has a blog called A Positive Vision for Oconee County. At the suggestion of Jonathan Veit, chair of the Oconee County Democratic Committee, I asked Tony Glenn to be a member of the committee. He, too, agreed. Glenn is a resident of Farmington who has been active in community affairs there and has been involved with the county Democratic Party. The Committee has not yet met. I am hoping this posting will generate some additional interest and that another person or two will join the committee. I told the BOC at its May 4 meeting that at a time when the traditional media are struggling to find the resources to cover government, it is particularly important that citizens have the ability to obtain information on their own. The reporter for the Athens Banner-Herald who is responsible for Oconee County, Erin France, also covers Madison and Oglethorpe counties. Before the cutbacks at the paper several years ago, the Oconee County reporter for the paper had only that assignment. I proposed that the citizen committee develop policy on the timely provision of information to citizens and also address the right of citizens to comment on matters before the county. I said I recognized that the board could have secret meetings–I should have said could meet in secret–to discuss property. I asked the commissioners to indicate nonetheless what they had been discussing. Each of the members of the commission except Chairman Davis said she or he had not been discussing any purchases. Chairman Davis said he would put a response to my question on the county web site. On April 22, I found on the county web site an unsigned response to my question at the April 20 meeting. Since the unsigned response mentioned me by name and, in my view, gave a misleading rendition of the question I posed, I sent an email message to Chairman Davis, copied to Theriault, Clerk Lindsey and Jane Greathouse, Davis' assistant, at 10:31 p.m. on Sunday, April 25. In that email message, I asked that a response I had attached to my email message be added to the county web site with an appropriate link on the home page indicating it was a response to the posting using my name. At 10:32 p.m., I received a receipt indicating that Chairman Davis had opened my message. I received receipts from Theriault on 7:58 a.m. on April 26, from Ms. Lindsey at 9:32 a.m. that same day, and from Ms. Greathouse at 9:01 a.m. on April 28. I did not receive any actual response from the chairman or from any of those to whom I copied my request. At the May 4 meeting, I asked during the citizen comment section once again that my message be posted on the county web site, with a headline on the front page indicating that it has been posted as a reply to the earlier message. No member of the commission responded to my comments, and to date my response has not been posted on the county web site, though the original message remains there. 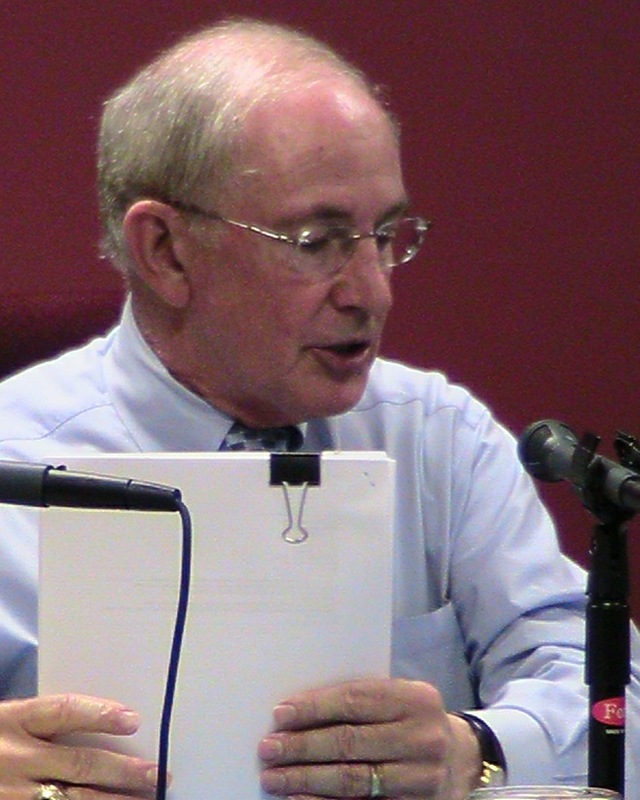 At that same April 20 BOC meeting, Oconee County Attorney Daniel Haygood presented the Board of Commissioners an 11-page draft ethics ordinance that spelled out ethical standards and set up conditions for creation of a Board of Ethics to hear complaints about board members. Haygood said he drafted the ordinance at the request of the board and that he forwarded it to members along with a Draft Model Ethics Ordinance for Counties prepared by the Association County Commissioners of Georgia. He said he also sent to the board an analysis of ethics ordinances prepared by the Carl Vinson Institute of Government at the University of Georgia. As is usual, the citizens in attendance had no information on what Haygood was talking about. No copies of the ordinance or other materials he was discussing had been presented to the public in advance, and none were available at the meeting, either in written form or via a visual presentation. After the discussion, County Administrative Officer Theriault said he would put the materials provided by Haygood on the web for the public to view, but Chairman Davis told him not to do so, saying he wanted to wait until after the commissioners had discussed it further. None of the commissioners objected. I obtained the documents via an open records request and placed them on the web as public files on April 22. The ethics issue is on the agenda for discussion again at the BOC agenda-setting meeting on Tuesday. Prior to the May 25 meeting of the BOC, the commissioners held the first of two required public hearings on the 2010-2011 budget. Before the meeting, the final budget to be discussed had not been released to the public, and nothing was available at the door as the meeting began. The hearing began with a PowerPoint presentation on the budget by Finance Director Benko, who summarized what he considered to be the key features of the budget. Among the things he left out was mention of an increase in the water and sewage rates that was included in the budget. After the citizen comment on the budget, Chairman Davis announced the proposed budget and the proposed fee schedule that supported it would be placed on the county website the next day and would be available at the courthouse and the county library. They remain available on the web site today. At the July 27 meeting, I thanked the county for providing the PowerPoint and the single page summary of the budget, and I asked if the county could provide a full budget for the county that would include details at the departmental level. I also asked for a finalized budget for fiscal year 2009-2010, which ended on June 30. I said these could be provided either on the web or as a hard copy for citizens to review and copy. No one responded to my request. I had asked Commissioner Hale after the June 17 forum sponsored by the Oconee County Republican Party and by the Oconee Regional Republican Women if she would give me a copy of the final budget for 2010-2011 so I could make a copy. She told me she only had budget requests, not the final department budget that the commission had approved. During a break in the July 27 meeting, Commissioner John Daniell said he would obtain a copy of the budget for me. He told me last week he had received the budget and would bring me his copy. He dropped it off at my house yesterday. Included is the 2010-2011 budget, but not the 2009-2010 reconciled budget. The detailed Utility Department budget, more than twice the size in terms of dollars allocated of any other departmental budget and more than the combined separate budgets for the jail and for law enforcement, was not included. My plan is to scan the budgets I have and make them available to the public through this blog. After I made my comments about formation of a citizen committee to develop policy for the county web site, Lisa Davol, then interim director and now deputy director of programs at the Parks and Recreation Department, told me she would be glad to discuss with the committee the departmental efforts to create a modern and clean web site. The Park and Recreation website, which has its own look and structure, it linked to the main county web site. The Planning Department, working within the structure of the existing county site, has taken steps on its own to provide information to the public in advance of Planning Commission and BOC meetings. For example, the department has key documents for the upcoming BOC discussion of a rezone request by Courtney Elder already available online. This is the strategy also being followed by the Oconee County Board of Education, though navigation of that site is quite difficult. Anyone who is interested in helping citizens develop recommendations for the county on how to make the best use of its web site and on policy for the site should contact me at lbbecker@mindspring.com. Do they put video of their public meetings online and/or do you think that they would be open to that idea? Yes, the county puts video recordings of BOC meetings and, on occasion, of other meetings, on its Vimeo site. A link to that site is on the home page of the county web site.